Not all disasters have to be on a large scale of things. Sometimes it is the simple things that can create the biggest issues. Most people who have owned pets have dealt with at one time or another the struggles that come when trying to clean up after your pet’s disaster. Train your dog to behave inside, but be prepared for when they aren’t. There are a few pet related disasters within the home that are far too common. If the spot is still wet, use an old rag to absorb some of the worst. Take action as soon as you find it, not allowing the spot to sit and smell. If you have one, use a shop vac to absorb the most of the liquid. Mix up a cleaner that is half white vinegar and half water. Use generous amounts of this solution to get in deep into the fibers of the carpet. Use a soft brush to work the solution down further. Blot the vinegar solution with a paper towel, absorbing the whole mixture. Once the spot has completely dried, sprinkle baking soda over the area, then pour over dishwashing detergent in water over top. Scrub this mixture, then rub away. While this isn’t perfect, it is one of the most effective ways of ridding your carpet of pet urine. Take care of this disaster as soon as it is discovered to ensure the damage won’t be lasting. 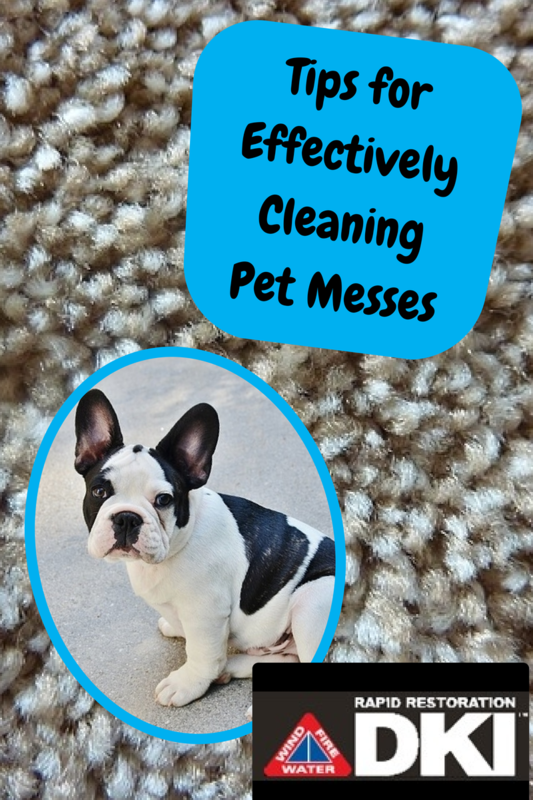 When your pet is clean, it minimizes the chance that cleaning disasters within your home will occur. Make it a point to bathe your dog regularly, and especially after camping or being exposed to mud. In addition to this, brushing your pet daily will help reduce the amount of fur left around your home, keeping it under control. Doing these small things will help you avoid a pet disaster within the walls of your home. Avoid major cleanup projects in your house, especially when it comes to the pets. Take all the necessary steps to reduce the damage done by your furry friends, keeping your home in the best condition possible. This will not only make it easier to live in, but will help keep the value of your home.